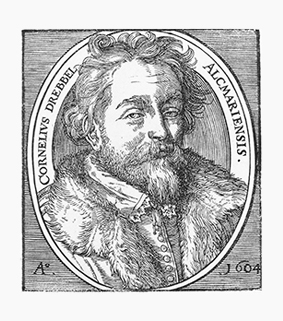 Nautilus magazine writer Steven Ashley prominently quotes historian Vera Keller of the UO's Robert D. Clark Honors College in an article focusing on Renaissance inventor Cornelis Drebbel. Nautilus is a monthly publication that "combines the sciences, culture and philosophy into a single story told by the world's leading thinkers and writers." Each Thursday a new article fitting each month's themed issue is published. "Drebbel cast his reticent style as part of a spiritual and social attitude toward knowledge and to whom it belonged," Keller says in the article. Keller is a science historian and Drebbel scholar. Three of her publications related to Drebbel are recommended for further reading at the end of the story. Drebbel was the first engineer to build an oven with a simple thermostat, back in the 1620s. He also was seen across Europe "as a magisterial, if not mad, inventor" and, perhaps, the role model for the noble sorcerer in Shakespeare's The Tempest, writes Ashley. See the entire story, "The Vulgar Mechanic and His Magical Oven."